Alex Waterman and co-driver Harry Thomas become the latest British crew to tackle the legendary Rally Finland – the next round of the FIA World Rally Championship. The Prestone Motorsport News Junior BRC crew switched to the turbo-charged Ford Fiesta R2T for 2018 as they stepped-up from the Cadet Cup. Preparation firm MH Motorsport are once again running the machine for the young pairing. After a sizeable shunt on the Renties Ypres Rally the Hampshire firm are in the process of rebuilding the car with a return from the body shop the latest activity this week before it is sent to Finland for the rally at the end of July. Rally Finland… how did it come about? Alex tells us more about the Scandinavian adventure ahead. 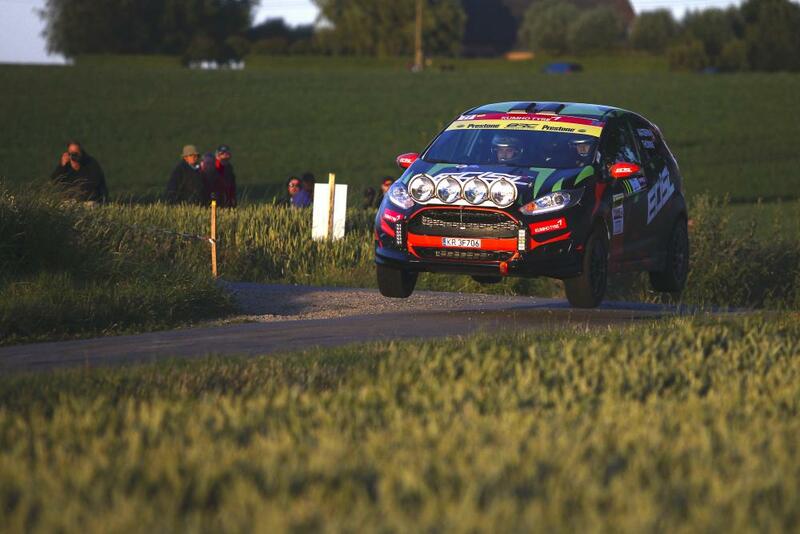 “My Dad got me into rallying and that’s what sparked the idea off for Finland I think. It has to be right up there in terms of bucket list rallies with the Monte Carlo and Rally GB. Harry and I have just finished our time at University so before we head out into the working world it fitted quite nicely time wise to go and let our hair down and do a WRC event! The English driver has been competing on home soil recently and while another sport is ‘Coming Home’ Waterman is traveling abroad to gain vital experience to broaden his rallying CV. With the excitement building ahead of his first Finnish flying lesson, the Leatherhead-based driver remained grounded with his thoughts for the rest of the 2018 BRC campaign. After WRC action on Rally Finland 26-29 July, Alex and navigator Harry Thomas will return to BRC action on the 17/18 August for the John Mulholland Motors Ulster Rally. Good luck boys from the whole of the BRC!